Were you in a band with a Myspace page between 2003 and 2015? If you were, then any music you uploaded to the social media network is now gone. 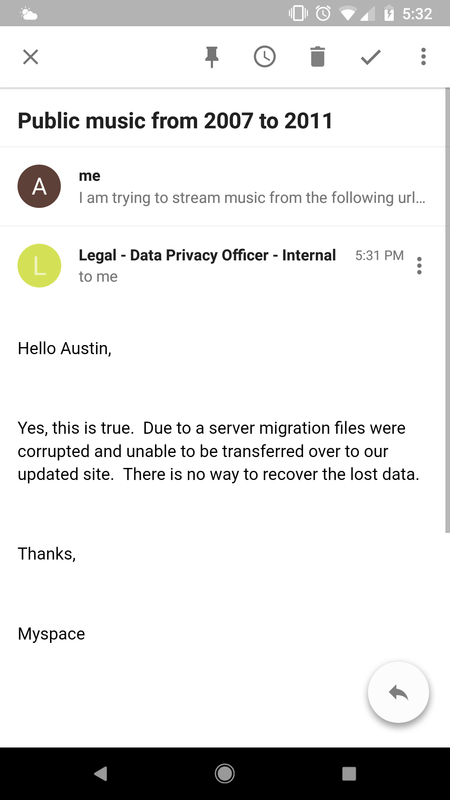 In an email sent to Redditor u/austinjckson, the company’s data privacy officer confirmed that “due to a server migration files were corrupted and unable to be transferred over to our updated site” (via BoingBoing).